In those European capitals, around 1780, three of the first modern chemists trained students in the evolving discipline. Through successive generations of mentoring, those three founders became great-grandparents of nearly all the tenured faculty members in the chemistry department. That 200-plus-year-old family tree is laid out in three posters that greet visitors and department members on the first floor of the Chemistry Building. The first such family tree was published in 1979 and has been updated periodically ever since as new faculty join and others retire. 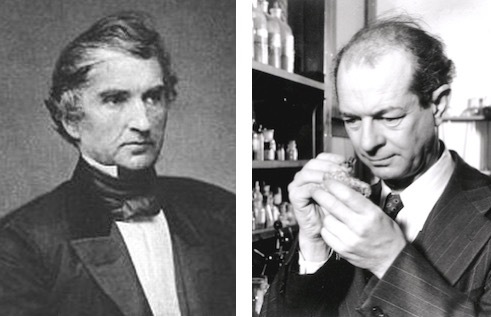 The genealogy boasts luminaries such as Justus von Liebig and Linus Pauling alongside household names like Bunsen and Erlenmeyer of burner and flask fame. Former department members, extending back to the 19th century, have their names in bold. 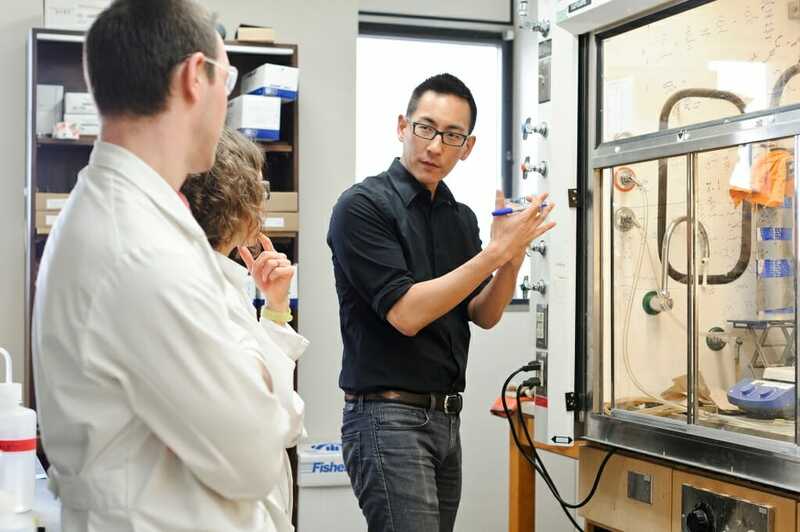 Several faculty have very recent — even the same — mentors in common. Matt Sanders, executive director of the chemistry department, helped update the genealogy in 2012. With the arrival of professor Qiang Cui, a theoretical chemist, Sanders had to trace a new branch of the tree. 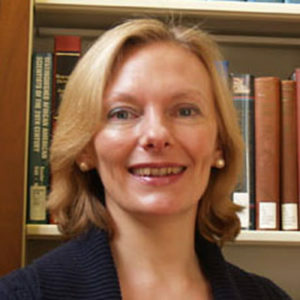 From Emory University in Georgia, Cui’s mentorship traces back to Kyoto University and Tokyo University in Japan. But Sanders found the branch connects back to the European ancestry through Edward Divers, a British chemist who spent more than two decades working and training students in Japan in the late 1800s. “It was fun to see how chemistry evolved in the various places,” says Sanders. Robert Corn, now at the University of California, Irvine, is the only faculty member on the 2012 poster not connected to the three primary founders. 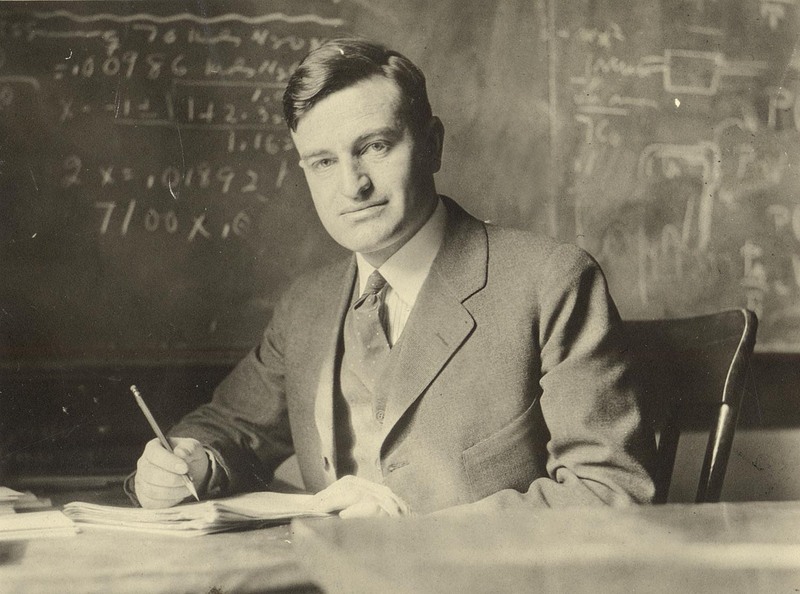 His training traces back to Peter Debye, who won the 1936 Nobel Prize in Chemistry but was himself trained by a physicist. Sanders says the ongoing trend toward interdisciplinary studies will likely continue to draw researchers to the chemistry department with novel training backgrounds. 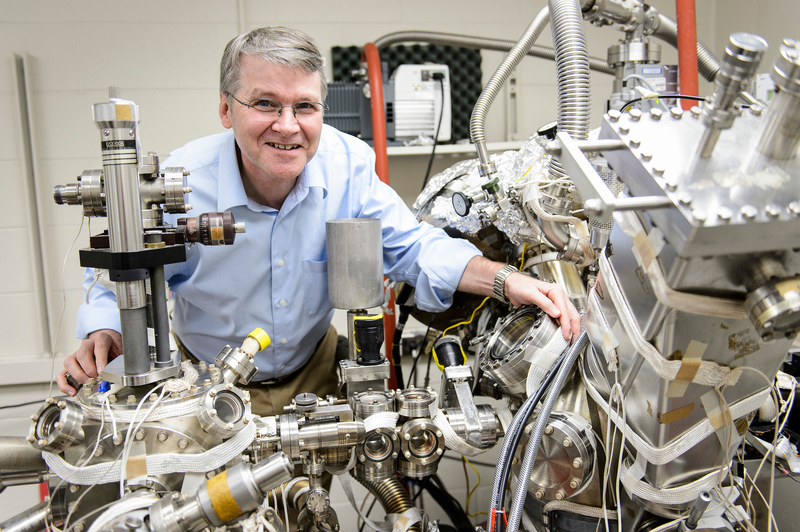 The influential Liebig forms the ancestral foundation of about one-third of the department’s faculty, including Jackson’s own chemical training. Paul Schatz, an emeritus lab director who updated the family tree in the 1990s, says that while tracing ancestry through doctoral advisors is a common practice, it might obscure the other influences on a researcher’s work. After all, Schatz says, students are not clones of their advisors. Postdoctoral work and wide networks of collaborators tend to have significant influence on the contributions made by scientists throughout their careers. But a doctoral thesis typically has a single primary advisor, making it a convenient marker of scientific heredity. Two former UW–Madison professors, historian of science Alan Rocke and chemist Aaron Ihde, published the first genealogy in 1979 in the Journal of Chemical Education. 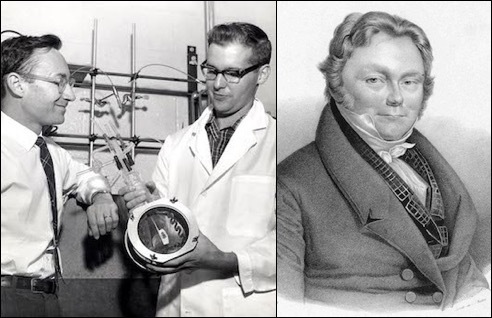 Rocke, like Jackson, also had training in chemistry and Ihde had an enduring interest in the history of science. They were inspired by a handful of earlier family trees published by universities in the United States and Canada. In the pre-internet era, Rocke and Ihde relied on correspondence with living chemists, digging up dissertations in libraries and consulting encyclopedias of science in English, French and German to research the ancestries. 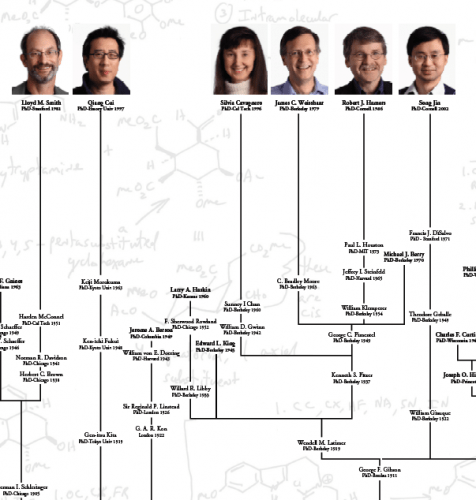 The chemistry department has continued to change in the six years since the genealogy was last updated and the family tree will likely be updated soon to place the latest faculty alongside their scientific ancestors and cousins.